Lamb Weston is recalling packages of Red Robin Burgers and Brews Crispy Onion Rings manufactured by Fry Foods. The product, which is NOT served in Red Robin restaurants, may contain milk, an allergen not declared on the label. 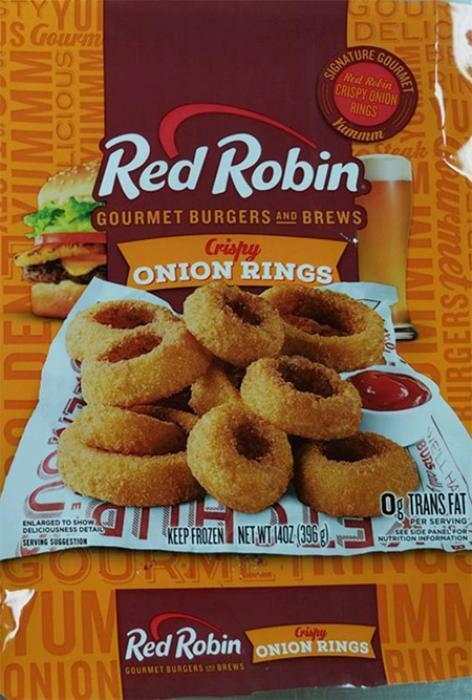 The Red Robin Burgers and Brews Crispy Onion Rings were distributed in the U.S. through retail grocery stores. The HH:MM portion of the Package Code indicates the time product was made and will vary by package. The recalled product was sold at retail grocery stores throughout the U.S.
Consumers with questions may call 1-866-518-0137, Monday-Friday, from 9 a.m. - 6p.m. (EDT).